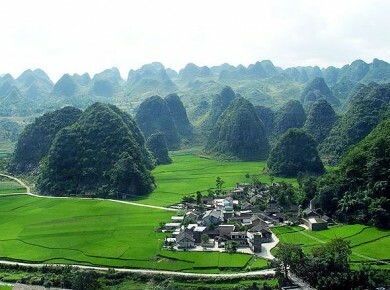 Called "country of the dragon" by its shape of "S", Vietnam counts today more than 92 million inhabitants and extends from the North to the South on 1650 km. 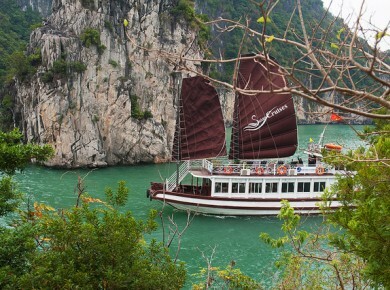 The diversity of the landscapes which one can there there to meet in fact an unavoidable destination of Southeast Asia. In the North, the mountain ranges and the highlands adorned with lush forest offer an exceptional panorama. 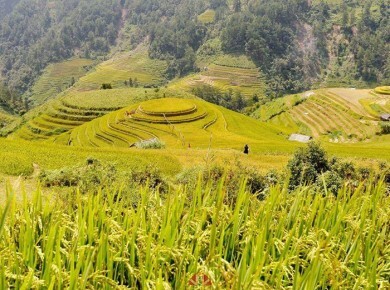 You can also discover Sapa and its unique rice terraces landscape in the world and the villages of minorities preserved and extremely welcoming. 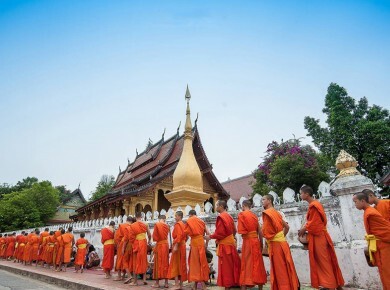 A trip to Vietnam can not be made without a visit to Hanoi, the capital of the country; With a rich heritage and tracing the history of a country that has experienced many wars, the "city between rivers" takes us in an unusual atmosphere, between historic monuments and Asian souks. 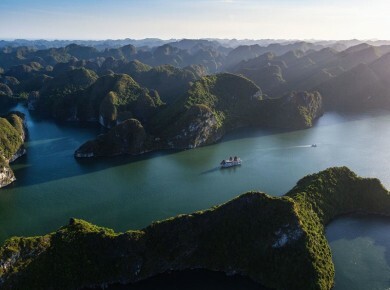 On the northwest coast of the country is one of the 7 new wonders of nature, Halong Bay. Unique landscape in the world thanks to its islets out of the seas; it reserves a show with charm and supernatural beauty. In the South, Ho Chi Minh City is known for its insatiable frenzy making it a landmark destination for travelers from all over the world. 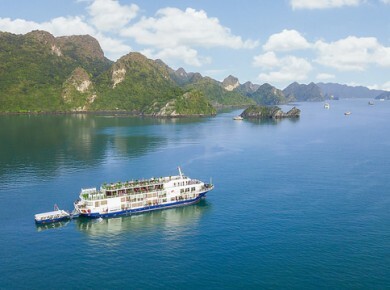 On the coast, you can dazzle in front of landscapes of paradisiac beaches that offer the south of Vietnam and to benefit from sporting activities of all kinds or simply of a moment of relaxation on the white sand. 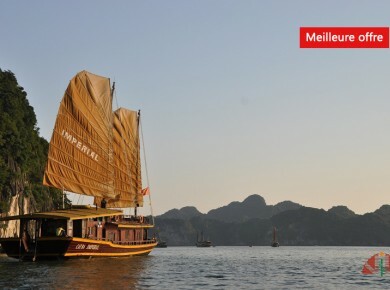 Vietnam, with its legendary charm and authenticity, guarantees a unique and unforgettable journey. 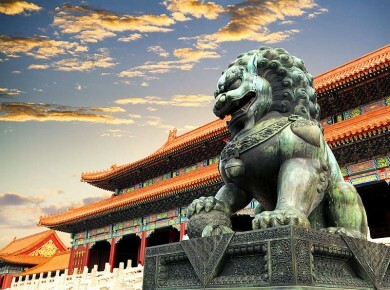 This tour is particularly recommended if you are fond of adventures and direct contacts with local people! 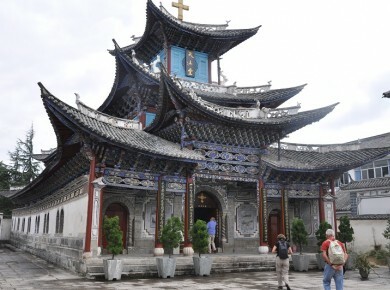 By making this trip you will discover unmissable sites and different cultures of Vietnam while crossing the country. This trip is one of our most beautiful and our most complete, because of the diversity of its landscapes and its cultural richness. We present an original trekking that combines sport, culture and discoveries! 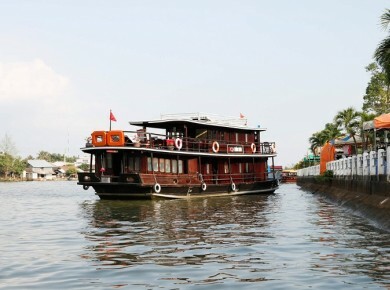 In junk or sampan, live along the bays or rivers of Vietnam and Cambodia and navigate the nostalgic world of Indochina. Cat Ba Princess is one of our traditional junks; inspired by fishing junks and the only one on the bay that can sail with the sails. 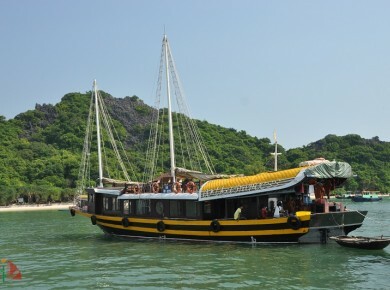 Our junks will take you on a cruise for 2 nights in Halong Bay away from traditional sightseeing tours. The Mekong Delta is crisscrossed by a multitude of canals and paddy fields; islands and villages punctuated by the pulsations of the river. Relax and relax in this wonderful bay. You will sail on the crystalline blue ocean and release the pressure during this trip.